If you love Grimm’s Fairy Tales…the original ones with all the little scary details, not just the happy Disney ones, then this collection of stories is for you. 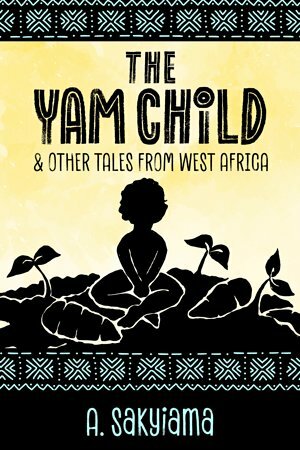 It has talking yam tubers, polite little boys who throw up money, and an alarming story of a disrespectful little girl, who sets out to find something to see. This is the second collection of stories in the African Fireside Classics series featuring folktales from Ghana, West Africa. A magic yam tuber that comes alive and grants wishes. What could possibly go wrong? Little brothers and sisters can be super annoying. You still have to be nice to them though. You never know—they may become the boss of you, then you would be in real trouble. Two boys have the exact same adventure. One gets rich and the other ends up begging a cat for his life. Yikes! A farmer gets exactly what he deserves from some helpful dwarves. A little girl sets out to find something extraordinary. She finds it all right, but, let’s just say that it does not end well. An old woman repays an eagle for its kindness in the worst way possible. Some of the stories are also available in the audio-ebook or read-along format, narrated by the author. Try one, or get the whole set at 50% off. Paperback and audiobook versions of this collection are not yet available. If you want to know as soon as those are ready, sign up for my Book News Mailing List. You’ll be first in line to hear about new releases, special deals and other exclusive content.